With Industry 4.0, there is now an increasing trend towards digitalisation in industrial environments. 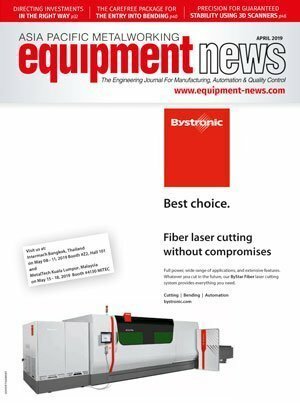 Bystronic’s head of development (CTO) Dr Jürgen Hohnhaus talks about the benefits behind this development. By Oliver Hergt with photos by Manuel Stettler. It may be too early to say that it is another industrial revolution, but Industry 4.0 represents a confluence of trends and technologies that looks set to re-shape every corner of the factory and the supply chain. 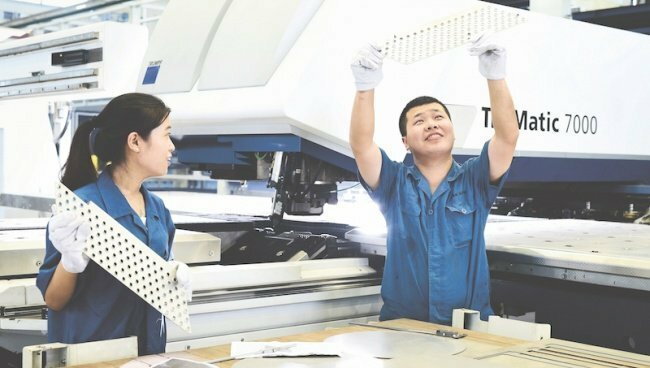 In the metalworking industry, the revolution is gathering force, and senior officials would be wise to monitor the coming changes and develop strategies to take advantage of the new opportunities. These changes and many others like them are sure to be far-reaching. The pace of change, however, will likely be slower than what we’ve seen in the consumer sector, where equipment is changed frequently. Industry 4.0 is currently a much-discussed topic and there are many different interpretations of it. How is Bystronic involved in it? The goal of Industry 4.0 is the digital penetration of industrial business fields in order to improve the efficiency of production processes. In our case, we are talking about sheet metal processing. People, machines, and manufacturing parts that are involved in this process all become interlinked. The company had been involved in this topic since 2010 and at that time, the term “Industry 4.0” had not yet been coined. Back then, we asked ourselves: Which Internet technologies must we integrate into our machines? And what will these technologies enable our customers to achieve in the future? The first product that was developed based on these considerations was the Observer. 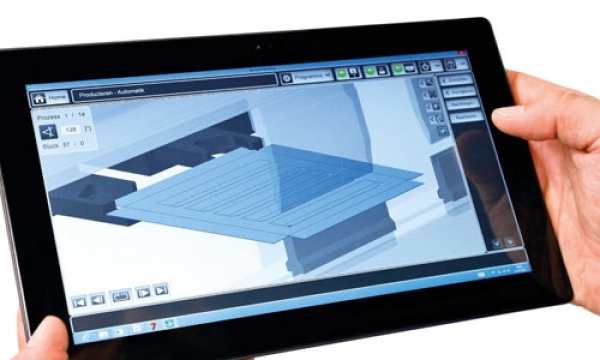 Today, it enables our customers to use their smartphone and tablet to access the status of their cutting and bending machines at any time and regardless of location. Does this mean that these networks create greater transparency? Precisely. 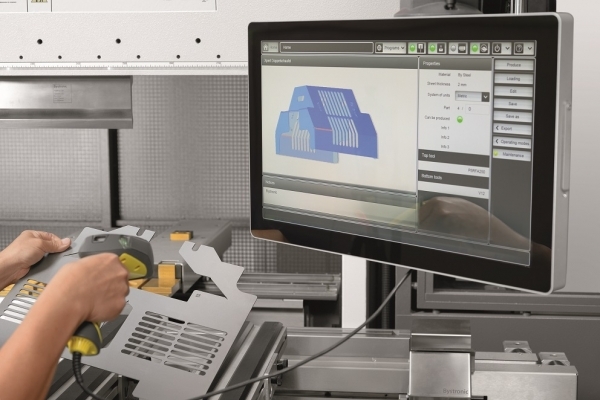 With Industry 4.0, customers receive more transparency regarding their production processes. They see when and where their orders are being processed and how far their production parts have progressed. Another benefit is increased flexibility. In addition to large series of identical parts, Industry 4.0 enables customers to offer and manufacture small batch sizes with individual parts in a very short time. In the future, in addition to mass products, this will enable individual parts and small series to be produced at competitive prices. Intelligent system support makes it much simpler to adapt workflows and thus to respond more rapidly to the customers’ requirements. Industry 4.0 comprises various aspects. Where is Bystronic setting priorities? I see four areas of focus. The first is automation, which will be augmented with artificial intelligence. 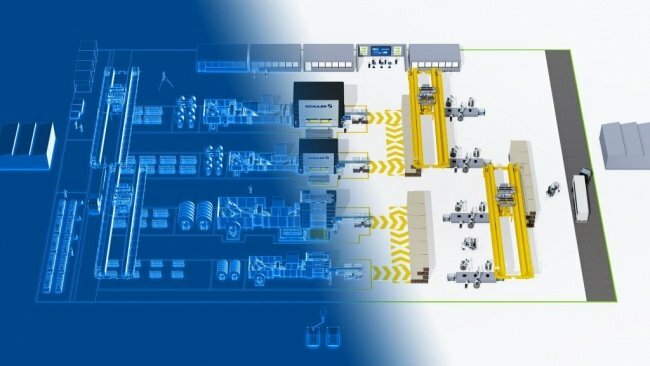 The next step is the interconnection of the intelligent machines with the production parts to form a digitally integrated factory, the “smart factory”. The third area is big data. That is, the question as to how we can ensure the secure handling and meaningful analysis of data. The fourth topic is about new service solutions made possible through the advanced data analysis possibilities. What opportunities does this open up for the customers’ processes? In the future, customers will be able to examine their entire process chain before production begins, for example. Production planning and control systems provide them with support when scheduling jobs and co-ordinating their resources accordingly. In addition, simulations help them analyse the planned processes before they are carried out.